The primary concern of all business owners is how to increase revenues. The tactics on how to do so often varies from company to company. Establishing specific goals aligned with targeted marketing campaigns is an excellent avenue to achieving business success. One of our clients, who owns a local car dealership, approached us with an idea of how to get more people in the door to test drive cars. His idea was to send out something to homeowners within a 10 mile radius of his business to encourage them to visit his dealership. However, he wanted our expert advice on what to send. As we met with our client to better understand his specific objectives, it became crystal clear that his main objective was to get people to visit the dealership. Based on his experience, he knew if X number of people came to the store, he would be able to get a certain % to test drive a car. He also knew how many sales he could generate from those who take a test drive. Therefore, his marketing activity needed to get people through the door. As we brainstormed ideas, we shared with the client the difference between a pure giveaway and an intentional promotional item. A giveaway is something you provide with the “hope” of getting a specific response. It is viewed as altruistic – such as a thank you or nice to have item. An intentional promotional item is a marketing piece aimed getting a specific result. The item is selected with a single purpose in mind, and the results are measurable. We decided on sending a mailing to the 10 mile radius with a key designed to open the trunk of a car at the dealership. If the key opened the trunk, the person received the gifts that were in the trunk. It was fun and competitive. 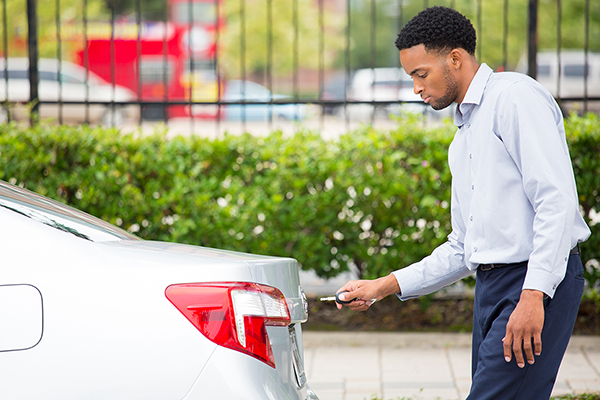 Once at the dealership, whether the key opened the trunk or not, it gave the salesperson an opportunity to talk with the person to see if they were interested in a test drive. The campaign was successful in increasing the foot traffic to the dealership resulting in increased revenue for the dealership. The owner of the dealership tracked the specific ROI of the campaign, as he knew how many keys were sent, how many people came to the dealership with the key, how many took a test drive, and how many ultimately purchased a car. Do you need to increase revenues? What is your specific goal? Schedule a free 15 minute consult with our Branding Professional. Dean Kapsalis has over 20 years experience in working with companies on successful branded merchandise programs.